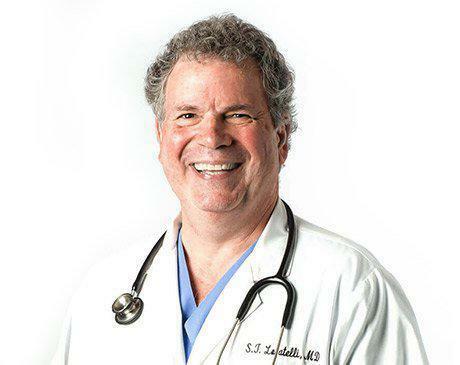 Sam Locatelli, MD, is the acting medical director of Total Health Physical Medicine & Rehabilitation Center in Florham Park, New Jersey. He specializes in physical medicine, rehabilitation, and injection therapy. He is a highly skilled, compassionate physician with over 30 years of experience. Dr. Locatelli oversees patient care and is passionate about contributing to the overall well-being of each individual patient. He performs sacroiliac, trigger point, and joint injections, SphenoCath® for migraines and headaches, and ClosureFast™ vein therapy. He also performs platelet-rich plasma injections, which enhance the natural healing process in joint injuries. Dr. Locatelli received his bachelor’s degree in biology from Georgetown University in Washington, D.C. He then headed to Valhalla, New York, to complete his medical degree at New York Medical College. Dr. Locatelli completed his postgraduate training in interventional pain management, specializing in advanced injection therapy. He is a member of the Academy of Integrative Pain Management. In his leisure time, Dr. Locatelli enjoys traveling with his wife, Kassie, including recent trips to Italy, Texas, and Virginia. He is a voracious reader and favors contemporary novels. He is a lifelong sports fan, especially of the New York Yankees, and has passed this enthusiasm on to his sons, TJ and Jimmy.